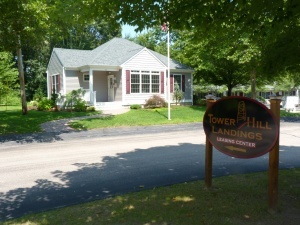 Tower Hill Landings offers one and two bedroom apartments located in the heart of South County, Rhode Island. Tower Hill Landings is nestled on 32 peaceful acres just minutes away from local beaches, shops, restaurants, entertainment venues and the University of Rhode Island. Living at Tower Hill Landings lets you easily explore the natural wonders of Rhode Island's South County region. Explore the world renowned waterways of coastal New England, gain easy train or highway access to major cities such as Providence, New York, Hartford and Boston or tour the countless historic landmarks that expand across the area. At Tower Hill Landings a convenient living experience awaits you. Come experience the ease of the Tower Hill Landings lifestyle today!